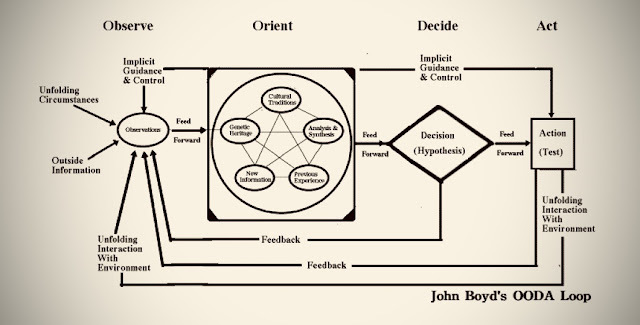 True students of John Boyd's OODA are familiar with Orientation Asymmetry. The concept of Orientation Asymmetry covers mismatches between what a person/team/element/organization perceives or believes....and what actually exists. I've continued to return (mentally) to this visual aid to help me better understand the separation between different people's perceptions/beliefs; not necessarily from reality...but from each other's. This silliness of these business blog summaries promotes falsehoods that OODA is limited to warfiighting or tactical situations. If we are to be serious about Boyd's theories, we need to re-evaluate or re-identify our adversaries. 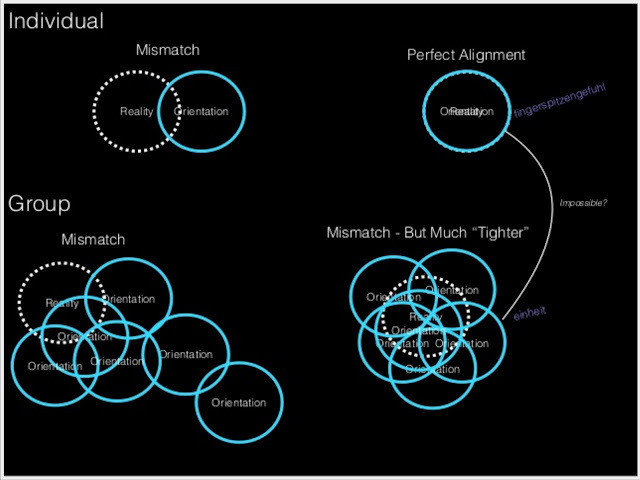 Instead of causing Orientation Asymmetry, what if we attempted to bring others' perspectives or beliefs closer into harmony or matching with ours? Or if we attempted to shift ours in harmony with theirs? Or best yet...bring both ours and theirs into harmony with "reality?" I mean...it doesn't really make sense for us and another to both be wrong or biased or skewed....does it? What if one (1) of our enemies was the mismatch itself? What if the resolution to "conflict" or peace could be brought about through Orientation Symmetry? What if, instead of trying to bring confusion or disruption through speed, we looked for opportunities to slow down and bring our adversaries' (and our own!) views into clarity? 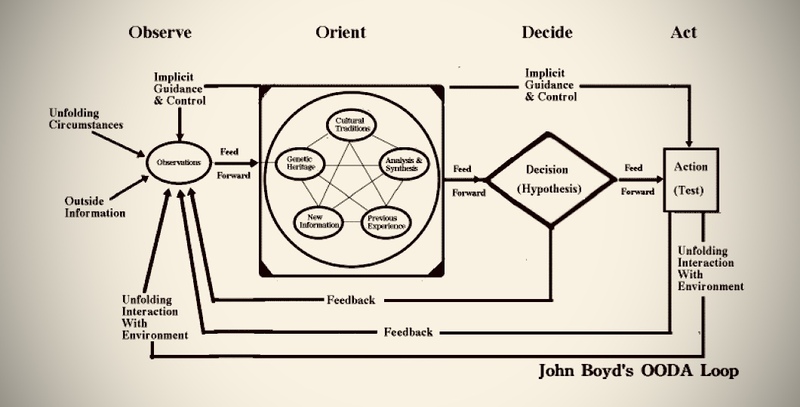 The perverted summaries of OODA almost never discuss these things. For now, consider Orientation Asymmetry, Incestuous Amplification, Implicit Guidance & Control, and other aspects of OODA....and apply them to a context of selling used cars. 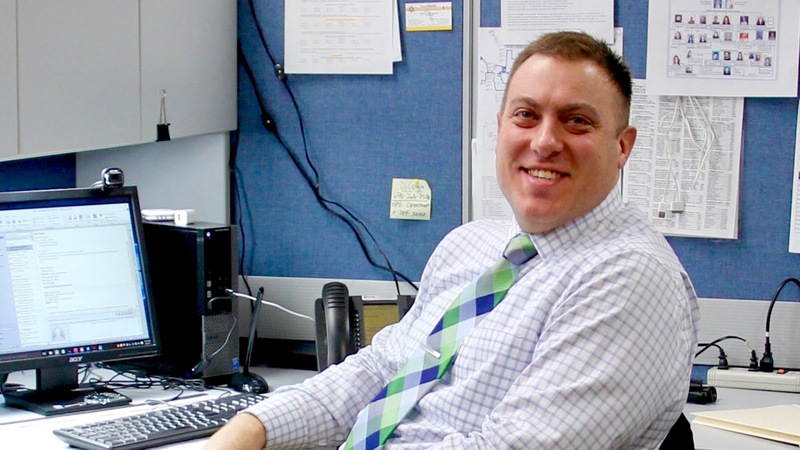 Consider the hidden "adversaries" at play and how salespersons overcome them. Or how customers form a resistance to salespersons and their strategies. It's no longer about disrupting or confusing...but getting others to change their views, beliefs, or perceptions. And ultimately their actions. We might get a lot farther in life by finding harmony. Harmony with what is the key. 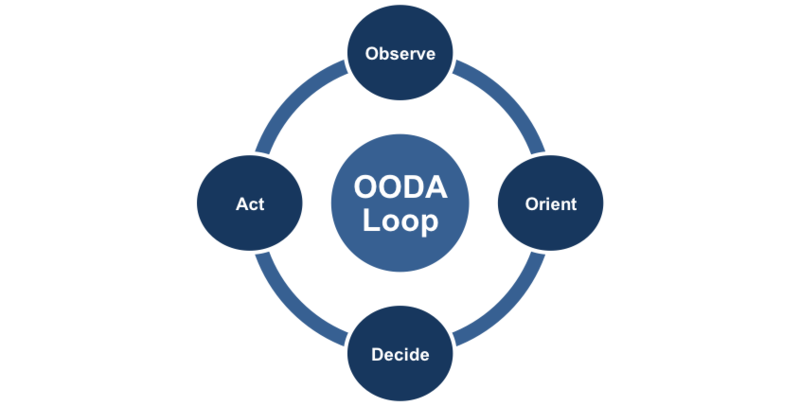 I've added an OODA resources & links post to my website. Hopefully, the resources within will give you a better understanding of John Boyd's study, language, and theory.